The location was in the street in front of my home in Bethesda, Maryland. The "Take It!" 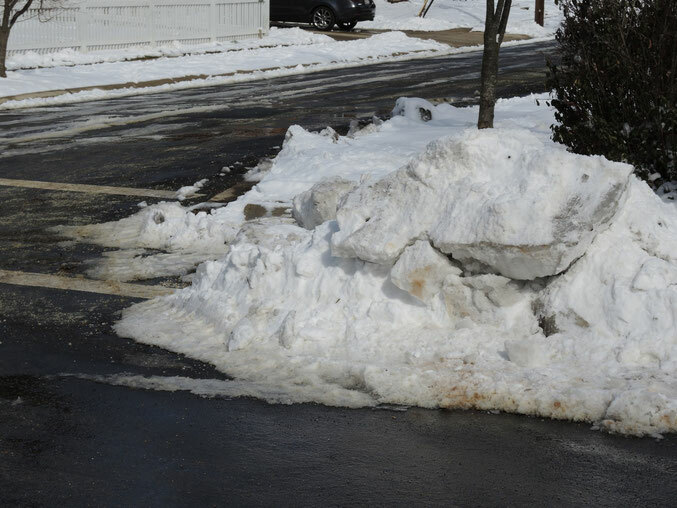 came from looking at the remains of a pile of snow made by snow plows when clearing the street after a snow storm. The sun had come out and there was some melting having taken place. When exiting my car after work that day - I had one of those "What the heck" moments and just grabbed a photo of this pile of pushed up snow. I really did not have anything in mind when I took the shot other than the idea that something might come of it later. As I lowered the camera from the shot - I looked again at the setting and saw the head with the eye and part of the neck of the swan. The rest of the swan did not meet a very good fate and is not very distinguishable, But then, this is a huge part of the fun of applied imagination. The After Take: Everyone who has looked at this photo is immediately able to see the beak, eye, head, and neck of the swan and evokes their imagination to fill in the rest. All seem to enjoy the fun of the envisioning exercise. While this one does not have the advantage of applied snow sculpting - it has brought some smiles. Here is hoping it has brought one to you as well. I think I can see it. Is it on the ground behind the first pile of snow. If so that is a perfect catch, if not I found another Swan hahahaha. Awwww it kind of looks sad. It looks kind of like it got ran over. Swan diving right on into the pavement. I SEE IT! What a marvelous catch, and lucky to boot. Its cool that you just snapped a shot not expecting much and managed to come up with this. Thats just great and has to be a pretty cool find afterwards. That's almost too good to have occurred on accident. Even the bill of it is a slightly different color. Nice find, actually a great one! Lol @Gabe That was funny.